The area’s bumper events calendar begins with the Paisley Food and Drink Festival 2019, which takes place on Friday 26 and Saturday 27 April. 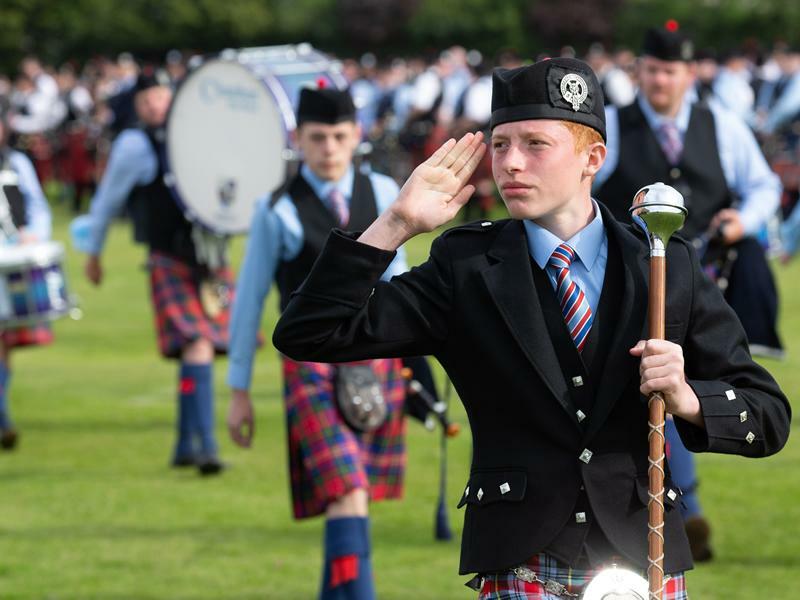 Paisley has won the rights to host the British Pipe Band Championships – one of the most prestigious events in the world piping calendar - until 2021, having also hosted the event for the past three years. The annual Renfrew Gala Day and Barshaw Gala Day will also take place on Sunday 2 and Saturday 22 June. “The major events calendar will continue to go from strength to strength with a host of must-see events in 2019 - from a food and drink extravaganza and one of the world’s biggest piping events to free family fun in our communities.